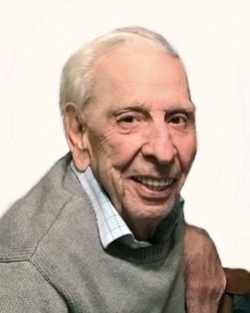 Anthony Joseph “Tony” Forzese, 86, of North Andover, MA, passed away Wednesday, January 23, 2019, at his home surrounded by his loving family. He was born June 26, 1932 in Lawrence, the son of Ned and Mary (Reitano) Forzese. After graduating Lawrence High School, he served in the United States Army as a Corporal in the 10th Infantry Division while stationed at West Point Military Academy. After an honorable discharge from the Army, he worked full time and attended Lowell Technical Institute at night to earn a B.S. in Chemistry in 1963. Tony owned Findeisen’s Ice Cream for 45 seasons, which is still in the family. He loved his business and it showed, as many employees enjoyed returning year after year. Tony enjoyed hanging out with friends at Heavenly Donuts, trips to Foxwoods Casino, and listening to Frank Sinatra. He lived his life “his way.” His kindness, charisma, and sense of humor made any time spent with him special, and he will be greatly missed. In addition to his parents, Tony was predeceased by his wife Marilyn (Moran) Forzese and his siblings, Bart and Frances Forzese. He is survived by his children, Frances Saab and her husband Donald, David Forzese and his wife Diana, Christine Pangione and her husband Michael, and Diane Forzese; his sister, Ida Giuffrida; his long-term loving companion, Betty Alfieri; five grandchildren; one great-grandchild; several nieces, nephews, cousins, and extended family. In lieu of flowers, donations in Tony’s memory may be made to the Ronald McDonald House Charities via www.rmhc.org., which he supported in honor of his late wife. Family and friends are respectfully invited to attend calling hours on Sunday, January 27, 2019 from 2:00-6:00 PM at Cataudella Funeral Home, 126 Pleasant Valley in Methuen. A funeral service will be held on Monday, January 28th at 10:00 AM in the funeral home chapel. Burial will follow at Ridgewood Cemetery in North Andover.